Montcada Auto is an specialist with a long experiencie in air suspension, providing a comprehensive program of applications for Passenger Cars. 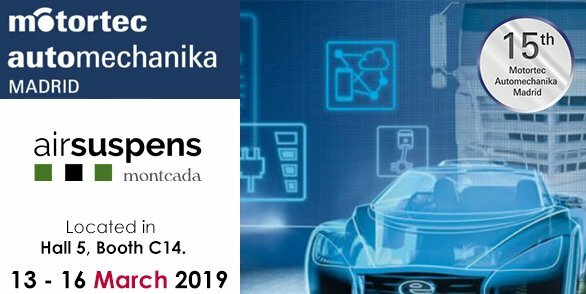 From 13th to 16th March 2019 , will take place Automechanika Frankfurt, the most important Trade Fair for automotive parts in the world. Montcada Articulos Técnicos proudly announce its presence in this event, located in Hall 5, Booth C14. If you plan to come to Madrid, please como to our booth. We look forward to welcome you!! !